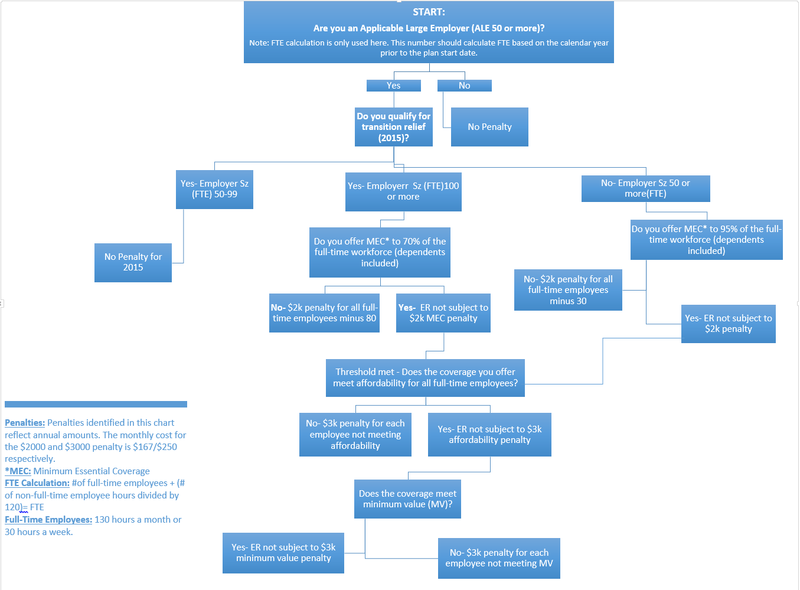 This guide provides information on how the Employer's Potential Penalty is calculated and shown on the dashboard. NOTE: The information provided is not tax or legal advice. Employers are encouraged discuss potential costs and penalties with a trusted advisor. 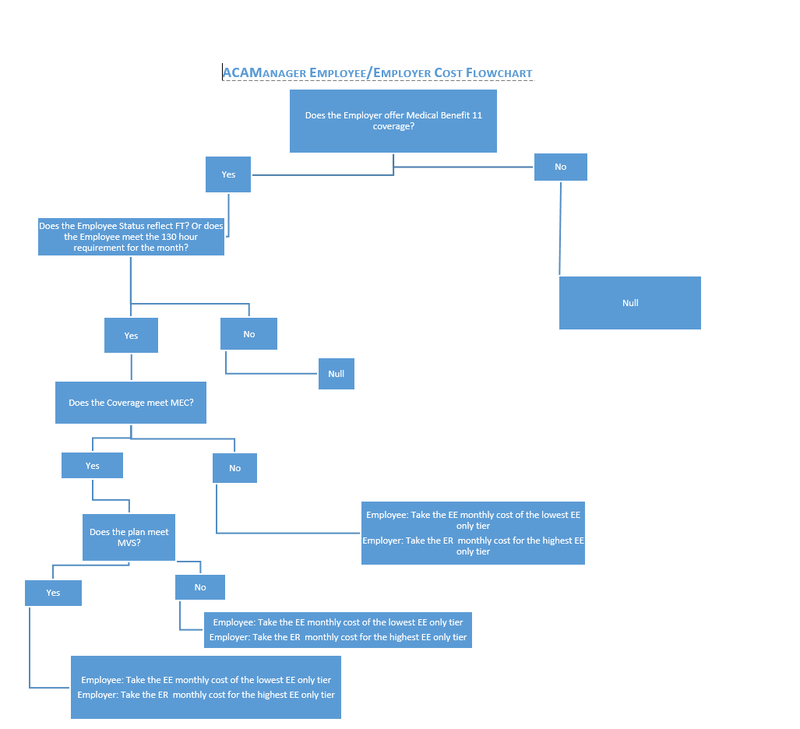 The following flow chart details how the Potential Penalty is calculated and shown on the Dashboard. It is a worst-case scenario.